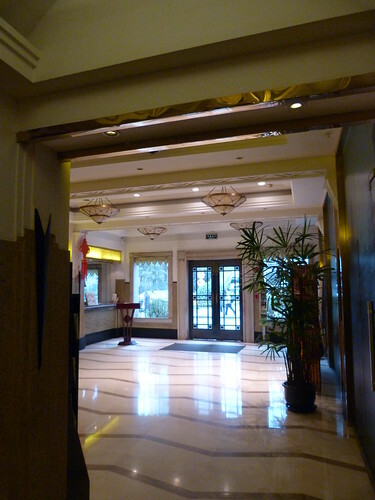 It says 1931 in large numerals above one of the two main entrances to the Villas Hotel in Shanghai. The heritage plaque on the building is less definite. 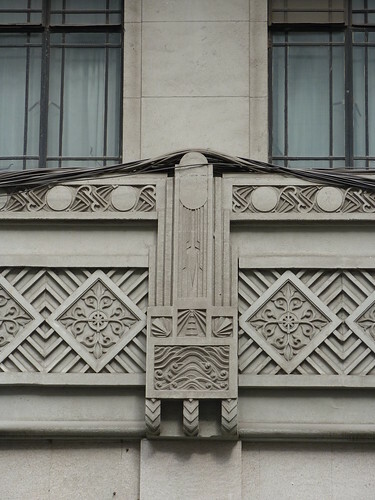 It says the building, a company building was built about the 1930s of reinforced concrete in modern style. 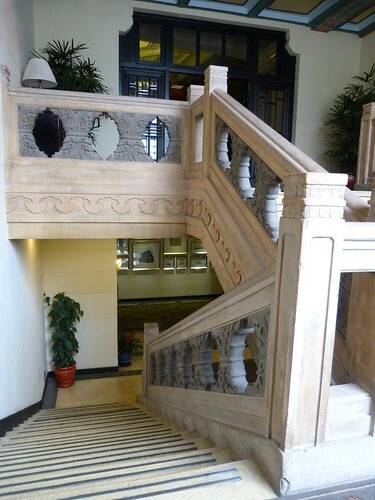 As you can see the hotel has a horizontal band of decoration between the ground floor and the first floor with vertical element in the centre. 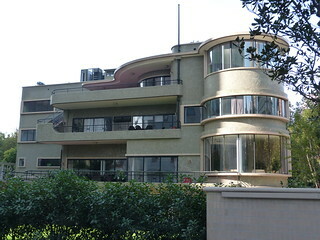 And note the small concrete balconies with a wave motif. ... and perhaps some guest rooms. 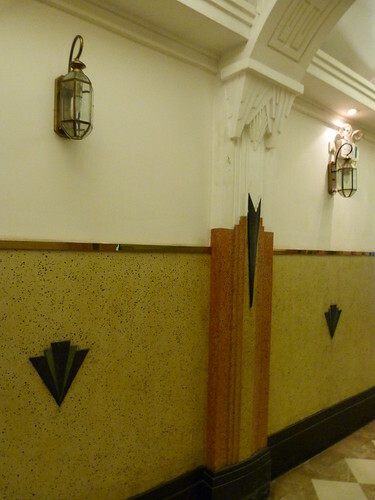 Throughout the public areas on the ground floor there are exquisite lights and Art Deco details. Whether these are original, restored or new is difficult to tell. 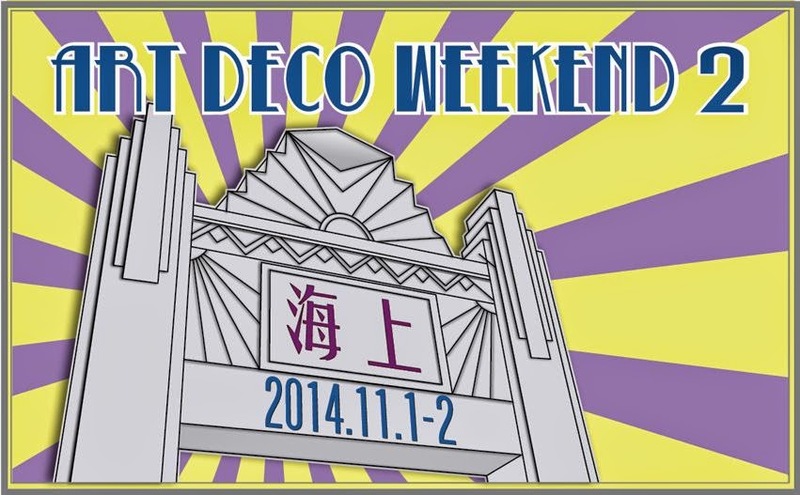 Last weekend I was in China for Historic Shanghai's Art Deco Weekend 2. 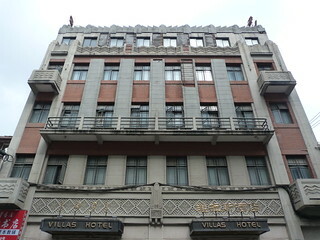 Both days consisted of presentations and lunch at the former Chinese YMCA (now the Metropolo Hotel) followed by a two-hour walking tour in the afternoon. Saturday commenced with the keynote address on Historic Preservation in Shanghai by Professor Ruan Yisan from Tongji University. Professor Ruan's presentation was passionate and amusing as he relayed some of his key preservation successes since the early 1980s. 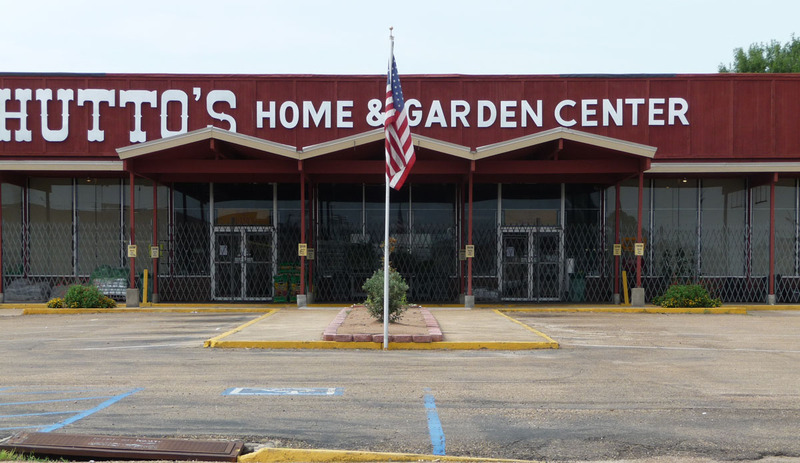 Often pitted against local mayors and government officials he has been threatened with jail but continues to fight for the adoption of master plans for the preservation and re-development of important historic areas. The second presentation of the morning was by Virag Csejdy on Laszlo Hudec: The Race Course Buildings. Virag is a relative of Hudec and is curator at the Hudec Heritage Project. 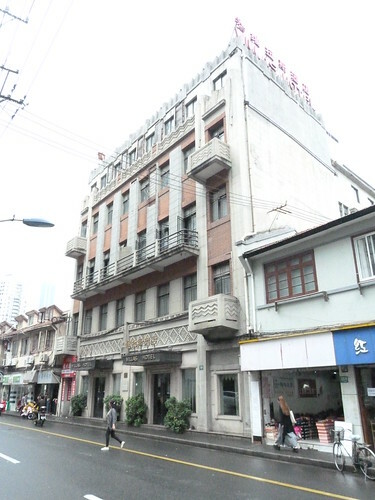 Her talk covered Hudec's journey from Hungary to Shanghai via time as a Russian prisoner of war during WWI before focusing on three key Shanghai Hudec buildings - Moore Memorial Methodist Church (1931), Park Hotel (1934) and Grand Theater (1933). The walking tour took us around the former Shanghai Race Course. Gambling was banned on Mainland China in 1949 and the former race course is now the People's Park. 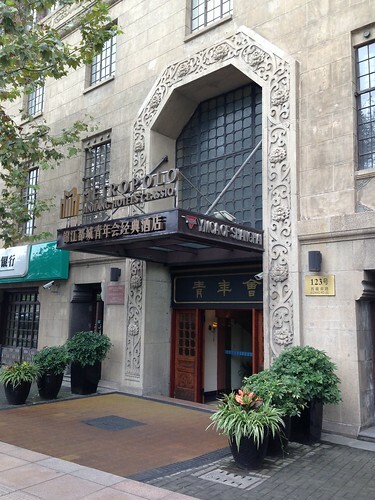 The tour included a school, a hospital, Shanghai lane houses, some large Deco department stores in Nanjing Road East and the Hudec buildings from Virag Csejdy morning presentation. 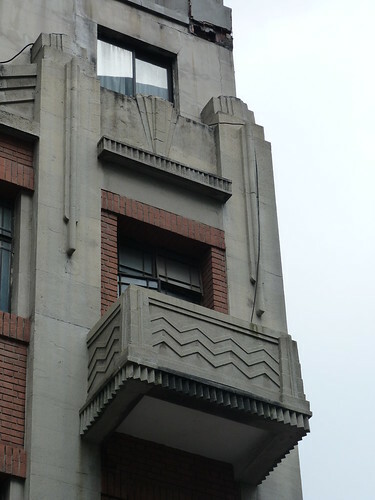 Sunday's first presentation looked at Shanghai Art Deco Design. Presented by Dr Karolina Pawlik of University of Silesia/Shanghai University it compared and contrasted how Western artists and Chinese artists portrayed China during the Deco period. 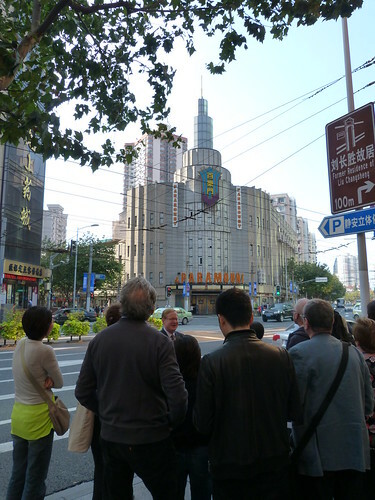 This was followed by Shanghai's Art Deco Nightclubs by Dr Andrew Field, author of Shanghai's Dancing World. Andrew's presentation focused on Shanghai's most luxurious nightclub of the 1930s, the Paramount Ballroom (1933), designed by S C Young. After lunch a bus dropped us off at the Paramount Ballroom for the start of our walking tour along Bubbling Well Road (now Nanjing Road West). 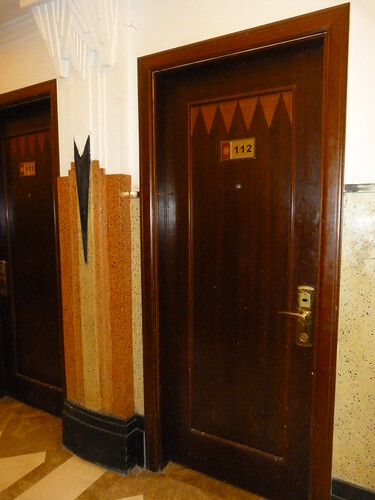 The tour included many apartment blocks and a couple of stand-out Deco mansions. 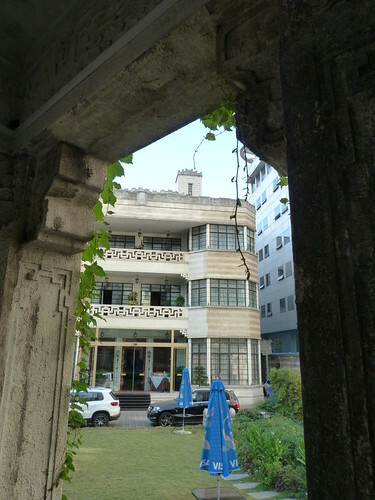 Woo Villa, now Shanghai Urban Planning and Design Research Institute was designed in 1938 by Laszlo Hudec and the Pei Mansion which was built in 1934 and is now an hotel. 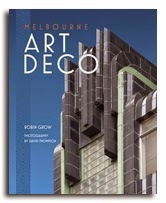 From my point of view, Art Deco Weekend 2 was a great success. I learnt a lot and saw many buildings that I hadn't seen before. 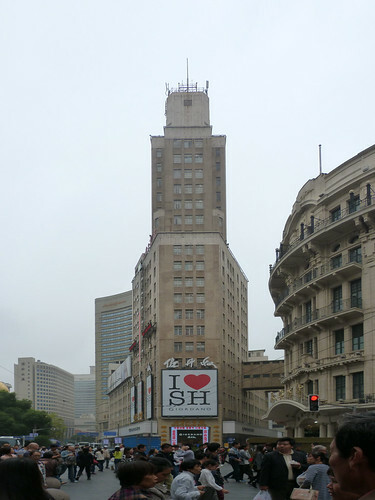 For Historic Shanghai it was part of their preparations for the Shanghai World Congress on Art Deco, 2-6 November 2015. 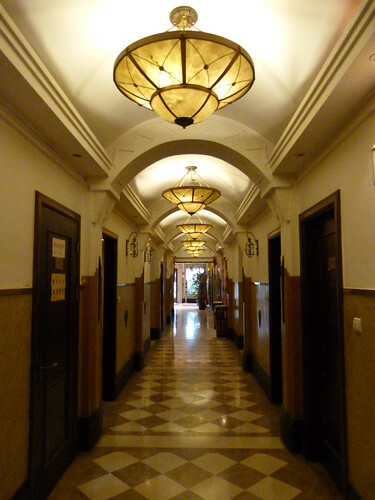 I helped with those preparations by getting lost at the third building on the first walking tour. You know, I just had one more picture to take. I was reunited with the group at the next building so everything was OK. Anyway we all paid more attention after that and I don't think anyone else got lost over the weekend. 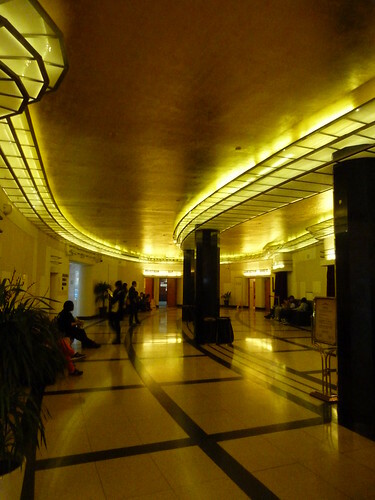 For more information on next year's World Congress you can visit the Shanghai Art Deco website.